I am an A&M graduate in horticulture and animal science, specializing in estate management with an emphasis in landscape construction and pathology. After graduating, I moved to England where I continued my horticulture education studying perennials, roses, and English gardening. After returning to the US I also worked in the Virginia area before moving to Washington state where I was employed on a private estate in the San Juan Islands. 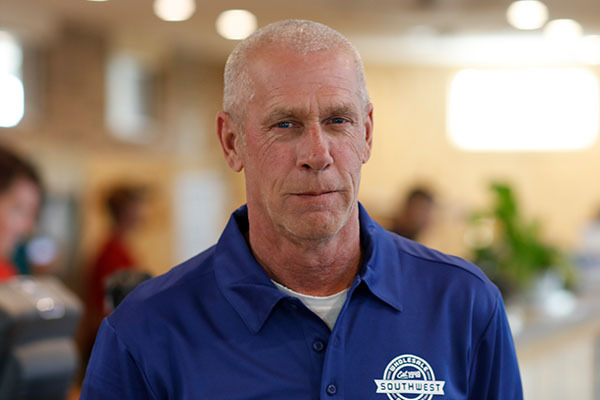 I have been at Southwest since 1998 and in the purchasing department since 2005.